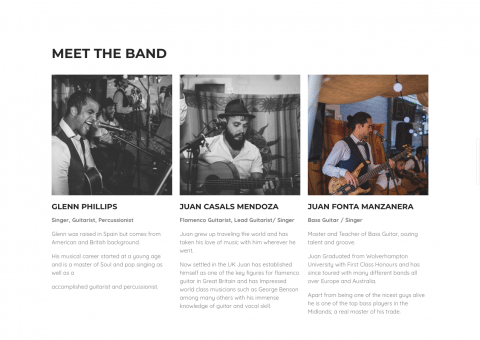 This is how a function band website should be done! 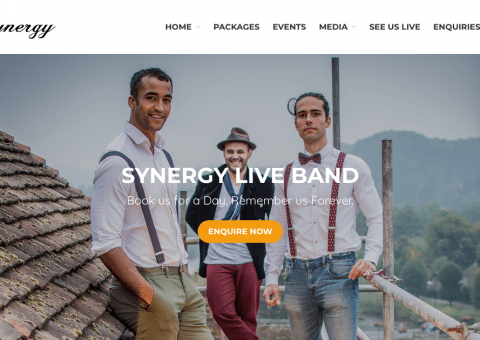 We worked closely with the guys in Synergy band and pulled out all the stops to create a function band website that really stands out. 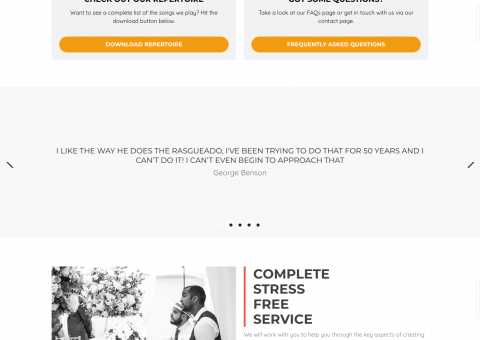 We went for a modern design, with a good amount of space so the information on the site doesn’t feel cluttered, eye-catching colours encouraging visitors to follow the call-to-actions we placed throughout the site. 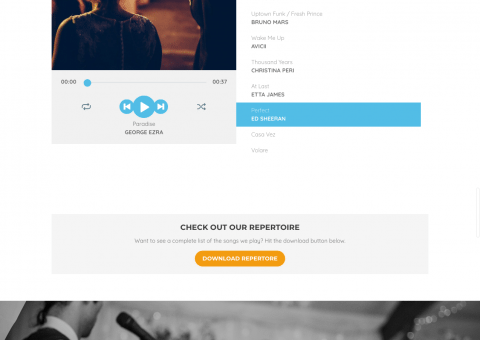 But what makes this site work really well is the high quality of content we were sent from the client – hi-res photos, a short background video loop for the homepage, super-polished tracks for the audio page and concise copy text. Synergy band have a lot of information to display and we spent a lot of time with Glenn and his band making sure that we only displayed what is necessary so as to not lose the interest of the visitor – sometimes, just because you have a lot of content, doesn’t mean you should put it all on your website – the premise of this site is to grab the attention of the visitor and then make it incredibly easy for them to get in touch for a quote. 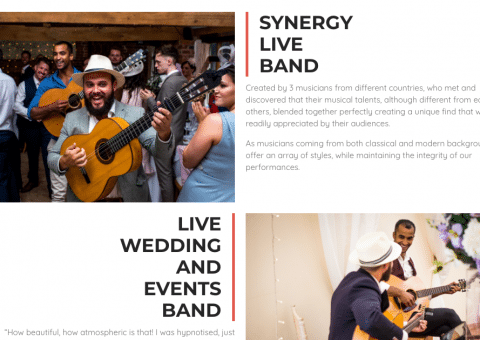 We used several call-to actions on each page, a contact form on each page and then, our favourite bit, we integrated an online chat system similar to what we use for Skizzar – so visitors can enquire directly with the band in real time. 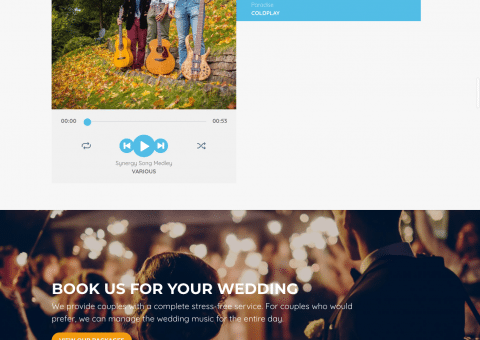 We spent time checking mobile responsiveness, loading times and tweaking content for search engine optimisation – this site is one that blows a lot of function bands out of the water with it’s attention to detail!